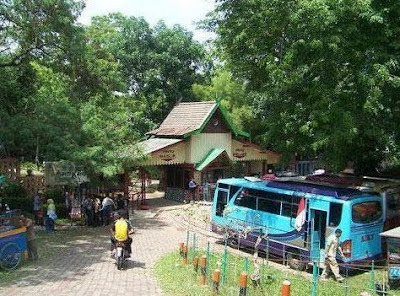 Punti Kayu Forest Park is the only forest tourism destination in Palembang City. Around this 12 ha area, you will be sheltered by numerous pine trees. Punti Kayu Forest Park is a right place for you who want to have a pleasure vacation amidst the crowded of Palembang City. You may have your children ride some tamed-elephants, swim in a pool, and visit fauna museum. In several occassions, there will be musical performance. Punti Kayu Forest Park is six kilometers awat from the heart of Palembang City. It lies on Kolonel Barlian Street, Palembang City, South Sumatra Province. The entrance ticket to Punti kayu Forest Park is IDR 5.000. If you want to take motorized boat, you need to pay IDR 500/person. It costs IDR 2.000 for swimming in the pool. The entrance ticket to the zoo and fauna museum is IDR 500/person. There is an artificial lake, souvenirs shops, playground, and restaurants around Punti Kayu Forest Park.